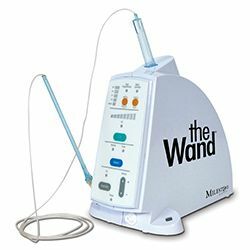 Patient comfort is one of our primary concerns, so we are proud to have integrated the Wand™ into our practice. CompuDent, which is the brain behind the Wand™, is a computerized local anesthesia delivery unit. The Wand™ itself is actually the pen-like handpiece that administers the anesthesia. Injections can be irritating for many reasons, but one main factor is that the anesthesia is concentrated in a very small area until it dissipates. Anesthesia administered too fast can also cause pain. Irritation can also stem from too much tissue going numb, which can leave a patient drooling after an appointment. 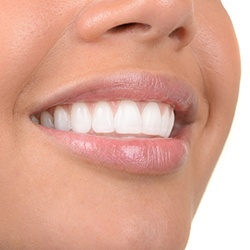 CompuDent manages the flow and volume of anesthesia being delivered, and it also offers more accuracy for the area being numbed. The Wand™, through which the regulated anesthesia flows, does not look or feel like a syringe. A drop of topical numbing agent first numbs the injection site, and then the needle creates a comfortable injection pathway. The Wand™ helps patients relax before, during, and after procedures. Beforehand, patients have confidence instead of anxiety; during treatment, they receive regulated medication to keep them comfortable; and afterward, they can quickly return to normal activity for the rest of the day. The Wand – it's like magic!